No way! 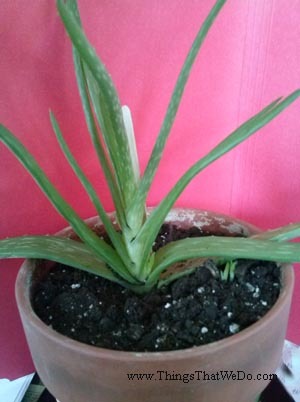 Baby Aloe Vera Plants!!! You know, green thumbs – I don’t have them but they’re green in spirit. You see, I’m the one at work who saves plants that have seem better days. The yellow dried out looking plant that used to be green, the violets that were left astray, the wilted plant that really really needed some TLC. I’m not always successful (the orchid died and so did the one that had flowers) but on most occasions, they do come back to life. Needless to say, my office has a lot of great oxygen for me to enjoy. Yes, it’s back! The Young Games Inventor of the Year competition for 2015 has been unleashed which means creativity has yet another champion! It was around this time last year that I did a post about the competition. 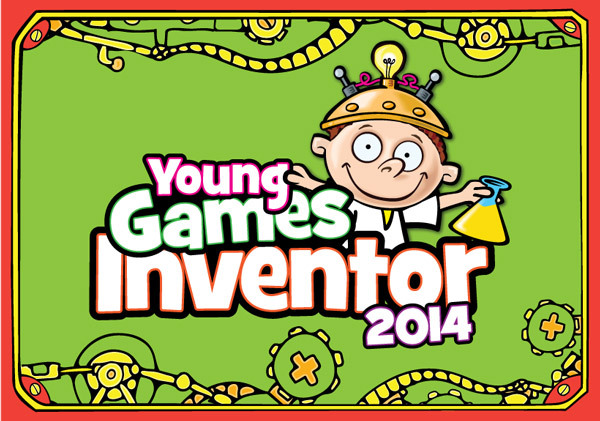 The Young Games Inventor of the Year competition is an amazing event in the UK. Granted, you have to be a UK resident under the age of 16 (i.e. those super creative children that seem to know more about life than we do!) to enter the competition with permission from the parents/guardians but that doesn’t mean I can’t talk about it! I mean, what’s not to love about creativity? It uses a different part of your brain than our more logical side that tells us 2 +2 is 4. It gets us to think of novel answers to novel problems. Without creativity, I bet you most things we take for granted wouldn’t even exist! That’s perhaps why I’m so fond of the Young Games Inventor of the Year competition. It means, some child in the UK is going to find out about the competition and they’re going to come up with a really cool game. Whether or not a particular game gets picked isn’t a critical point for me. For me, the learning that took place during the whole process, that’s what counts. All those brain cells firing away, making new neural connections, I mean, that’s magic! There you have it. If you live in the UK and you know a child who’s less than 16 years of age, let them know about the Young Games Inventor of the Year competition. Even if they decide not to sign up for the competition, maybe they’ll be inspired enough to come up with their own game at home. Be sure to click on the link below to learn more details (and always read the fine print!) but you’ll have to hurry because the competition ends November 1, 2015. Time to get that creative brain moving! p.s. for more details, visit their website by clicking here. Bright sunshine, warm Spring weather (finally), and a chance to spend time with the family. That sounds like a perfect weekend to me. With the warmer weather, why not enjoy some of the sun (with sunscreen, of course)? Take a walk in the neighborhood. Head off to a park, throw around the Frisbee, or go for a bike ride. I’m not sure which one of those things we’ll do this weekend but we’ll try to fit something in. Best part about Saturday: you get to do what you want knowing that you still have Sunday to enjoy. Hm…maybe I’ll do some baking. There’s a bakery near me that makes fresh scones that are absolutely amazing. They come in a million different flavours, savory and sweet. They’re pricey so I only buy them on the occasion but I’d love to be able to make scones in a variety of flavours. Yes, maybe I’ll do some baking. Things to do: enjoy this weekend to the fullest. Be safe, be well, be in the moment. Healthy eating, you’ve got to start somewhere and the simpler it is to incorporate into your daily routine, the more likely you are to follow through. Enter flax. I mean, flax seeds are about as simple as simple can be. You can throw flax seeds into almost anything, your cereal, yogurt, baked goods, I mean, what can’t you do with them? 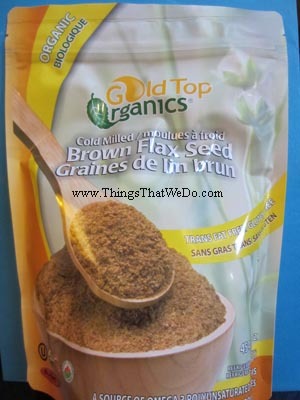 Now, I normally just buy ground flax seeds at my local bulk store but I recently saw this bag of Gold Top Organics cold milled brown flax seed at my local health food store on sale which made it cheaper than what I’d normally pay for. YES! Made it to another Sunday!!! That statement alone deserves a serious ‘high 5’ or ‘fist bump’ depending on which pal I hang out with. Let’s be honest with one another: this past week was a hard week. The whole Daylight Savings thing, getting back into a routine after taking a few days off (yes, I did take a few days off the previous week but managed to keep ThingsThatWeDo.com going despite my more relaxed mode), and conquering a work week with umpteen emails and deadlines after taking those days off… all THAT and more takes a toll on the human psyche. Last Sunday I posted my determination not to let my disdain of Mondays destroy my Sundays. I came up with one strategy: cramming Sunday as full as I possibly could to reduce my brain’s capacity to think about anything beyond the task at hand. I am happy to report that it did seem to effectively limit my ability to fret about the impending Monday. I did laundry (LOTS of laundry), simultaneously baked sugar cookies and a lemon cake, prepped for dinner with my big kid, helped her make dinner, watched a movie, did homework with my big kid, played a bunch of different games with my big kid (Jenga anyone? ), and I’m sure I did some other stuff too which I can no longer remember. I’m not sure how well my strategy worked but there’s no denying that we accomplished a lot in one day and I just physically had no time to think beyond the cookies in the oven, the lemon cake that had a different baking time, the laundry that was in the washer and the dryer, and all the other events that were happening simultaneously. With all that buzz, I still made sure there was plenty of time to hang out with my family which is ultimately what gives me strength to go about my daily chaos. 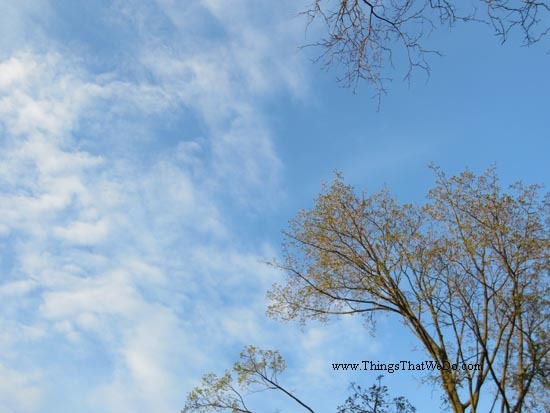 So, deep breath, this weekend came and I’ve got to do it all over again…TODAY! Well, better get out the baking book NOW. You know I’m not a big chocolate fan. It’s just not something I’d put on my top 10 list of goodies to consume which is an odd thing to say since I do like the occasional brownie, chocolate cake, or cup of mocha. Then again, a brownie isn’t exactly the same thing as a chunk of chocolate. I’m just not a big fan. I received a goodie pack from the dear folks at Camino a while back and it’s finally taken my family this long to crack into one of the chocolate bars. On this particular day, we chose to test out the Camino Milk Chocolate with Almonds and Raisins. My big kid was quick to point out, “Hey mom, see it’s ORGANIC.” Those of you who regularly read ThingsThatWeDo.com know that I had goofed up a while back. No need to dwell on the past here but I’ll be sure to include a link to it at the bottom of today’s post. Wait until you see this chocolate bar. Here’s a scenario for you: you’re at a second hand store and you see these little toy dolls. They’ve all seen better days. What would you do with those dolls? Would you give these dolls a new lease on life? Would you take them home with you? More importantly, would you give them a whole new makeover or should I say ‘makeunder’? Have you ever gone into a toy store and taken a good long look at some of the doll choices that are on the market for children? Some seem like decent choices but then there are those that are plastered with exaggerated makeup. You know, the ones with the elaborate eye shadow and lipstick? Still have no idea what I’m talking about? Then, you definitely have to watch this video about the woman who made Tree Change Dolls courtesy of FaithTap.com. Things to do: Watch Woman Creates Tree Change Dolls. and it also happens to be a Saturday. Could it get any better than this? With each passing day, we’re getting closer and closer to Spring. 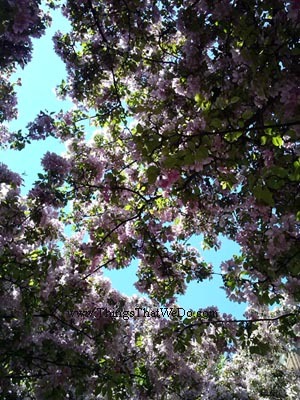 Despite the fact that it will also be allergy season for me, Spring is most definitely welcome to arrive sooner rather than later. It’s still cold outside. Thank goodness it’s sunny to make the frigid cold winter more bearable but I do feel like its dragged on long enough. I’ve become eternally grateful for the invention of snowpants. I don’t know what I ever did without them! Tomorrow, it’ll be March. Wow. Now, we’ve had a few warmer days that have helped some of the snow to melt. The only problem is, many storm drains remained covered or blocked. So, where is all that lovely wet stuff to go? You see, I bring that up for a very good reason. I’m one of those people you’ll see randomly cleaning storm drains. It’s simple really and I don’t need any special tools or tricks. I like going for walks especially on the warmer winter days and when I do, I keep my eye out for blocked storm drains that need just a little bit of help. Sometimes, I can see the storm drain but it’s obstructed by a plop of snow and there’s a big puddle nearby. So, with my trusty foot that’s wearing my trusty boot (I LOVE my BOGS), I swipe that hunk of snow out of the way. Sometimes, I make a path for the wet stuff to drain. WOOSH….instant success. It doesn’t take very much but in that one moment, I may have just made a difference. It’s not the first time I’ve talked about cleaning storm drains but I think it’s worth mentioning every so often. It’s simple, it’s easy, and it betters your community. So, on this last day of February, here’s a ThingsThatWeDo.com challenge for you: what small act can you do to make your community a little better? Remember that “Young Games Inventor of the Year” competition? My big kid and I post about a variety of different topics (as you can see by that exhausting list of categories to the right). Back in August 2014, I posted about a really neat competition that took place in the UK called the Young Games Inventor of the Year competition. 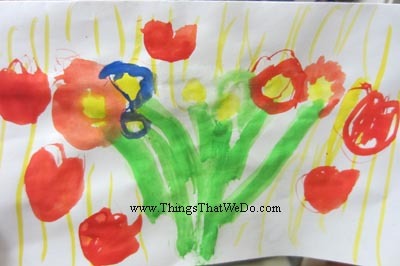 We posted about it because it celebrates creativity, something our family values. 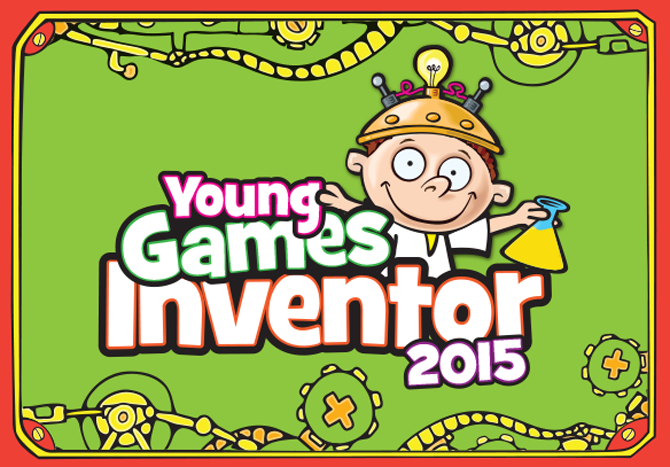 Fast forward to 2015 and the 2014 winners for Young Games Inventor of the Year competition have been announced! A huge congratulations to Isla and Fred for having creative big brains with big ideas. Isla created a game called HexaCollect while Fred created a game called Summit Up. I could drone on and on about these two kids and their terrific ideas but instead of doing that, I think it’s best for you to just visit the Green Board Games BrainBox website to learn more. 1. visit the BrainBox website to learn more about this competition and the winners. 2. celebrate the creativity of children: encourage it, role model it, and embrace creativity. 3. Think outside the box and see what you might discover! Let others know! Tweet it! I have to be honest though. I tried to make this the most engaging and entertaining post of the century and I fell far from it. In fact, I re-wrote this post about a million times (a slight exaggeration but only slightly) and no matter which angle I took, I wasn’t happy with it. Finally, I decided to delete the entire thing just so I could write this statement: I have no idea what to talk about. I’ve got nothing. There comes a time when we all have to be honest and admit that we’re running on empty and need a moment to rejuvenate and refuel. One thing I did do this week was reflect. Reflection. Self-reflection. Looking inward at who you are and who you’ve become. Taking a moment to do a self-evaluation. Call it what you want but thinking about yourself isn’t an easy thing to do. So, why did I do it? On a not-so-usual work day this week, I noticed a woman moving at lightning speed. She was incredibly efficient and adept. She was like a self-spinning flurry of activity and somehow managed to take care of about 20 different customers all by herself. She seemed pleasant and well-meaning but I noticed one thing: she barely interacted with anyone. Then I had this thought: quality vs. quantity. She may have helped a lot of people in a short period of time but would they thank her for exceptional service and care? Probably not. By the same token, I could be that whirlwind at home but how would my interactions be with my family? Would I have quality interactions with my big kid when I’m trying to bake, do laundry, clean the floor, and cook at the same time? 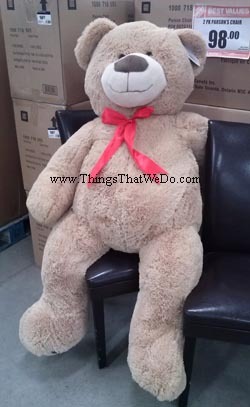 Or would she rather I pace all those life chores a little bit better so I could spend better quality time with her? Yep, you get the idea. 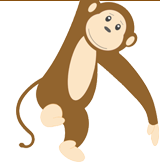 So, this weekend, I’m going to make the commitment to be mindful, to be thoughtful, and not tackle too many tasks at one time. I’m going to smile a bit more, laugh a bit more, and relax a bit more. Yes, that sounds like a decent plan don’t you think?